Boomers and Millennials don’t often see eye-to-eye in the workplace. As father-son authors Kelly and Robby Riggs point out in their new book, Counter Mentor Leadership: How to Unlock the Potential of the 4-Generation Workplace, Boomers — and older Gen Xers — see their young recruits as entitled, lazy and undisciplined. Millennials, meanwhile, expect their bosses to recognize the technological skills they bring and want autonomy, not demands and directives. The authors each represent one of these generations and can speak from experience about the stereotypes depicted. They banter through the book as they divulge each other’s distorted point of view. Both Riggs are entrepreneurs and management consultants, and point out that the generational differences are real. That means leaders must learn how to leverage the power of both generations or else the generational standoff could become lethal to their business. In the book, they nickname Boomers “BOSS,” meaning Boomer, Old-School Supervisors. BOSSes expect loyalty, want respect, prefer real conversations to texting and crave the comfort of a hierarchical organization. Millennials, nicknamed “KIDS,” or Know-It-All Digital Self-Promoters, believe they don’t get the respect they deserve. They also want to know the “why” behind any assigned task. KIDS are more likely to move on than adapt to the BOSS structure, which can be costly for organizations in terms of innovation and talent acquisition — not to mention the bottom line. To be successful in today’s world, business leaders need to abandon their old-school top-down management practices. The Riggs show them how this can be done with their valuable and sensible “Counter Mentor Leadership” techniques. They coach leaders through the steps for developing emotional intelligence, next-level communication skills, coaching approaches, setting strategy and direction and more. Management tips for implementing the new techniques include revealing the big picture companywide and sharing expectations so that people understand the “why” and can see the broader meaning behind their work. This runs counter to top-down practices of expecting workers to mindlessly follow directions. Another example is investing three or four hours of time each week with direct reports in Counter Mentor Meetings. These allow managers to share updates, explain their approach to issues that have arisen and clarify any misunderstandings. The Riggs outline the framework of these one-on-one meetings and emphasize that the meetings actually save time by eliminating the need for dozens of other meetings, emails and calls. The authors share their tactic of Reverse Mentoring, which allows the junior employee to mentor the senior employee. Even though it may look like a loss of superiority for the BOSS, it is a valuable way to help close the technology knowledge gap and foster better cross-generational understanding. The Riggs have a lively and entertaining writing style, and they make good on their promise early in the book to provide short-ish chapters, practical advice and actionable content. 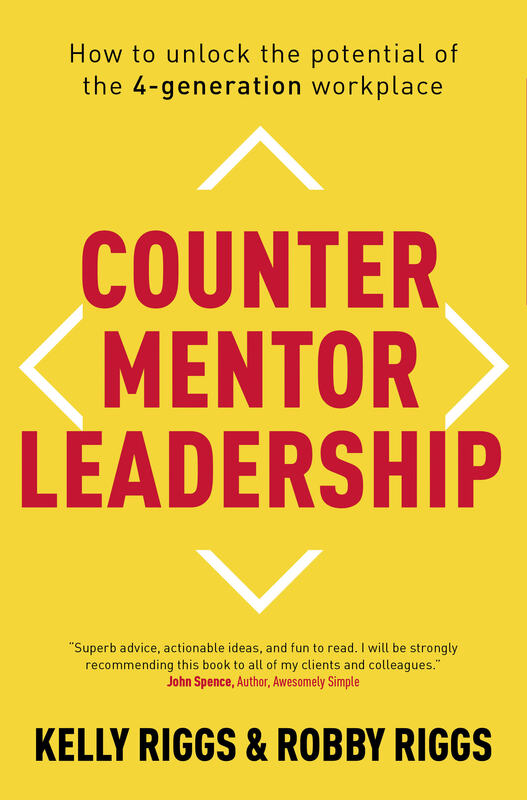 Counter Mentor Leadership is a valuable guide for leaders hoping to overcome the challenges of the multi-generational workplace and better adapt to today’s rapidly changing modern business environment.